Foreword by Maria Bartiromo Public relations was among the first industries to harness the power of the Internet. As a medium for corporate communications, branding, product information, and more, the Web's value was readily apparent. But the Internet is a double-edged sword whose perils are every bit as important to control. The AMA Handbook of Public Relations is written to help professionals merge their traditional and Web-based campaigns while protecting their clients, companies, and themselves against harmful attention. Based on in-depth interviews and cutting-edge research, the book combines proven PR strategies with up-to-the-minute Web savvy to help readers: * Master media relations * Manage rumors and crises * Adapt areas of specialization to the Internet * Work with trade publications * Leverage websites, blogs, podcasts, and social networking sites * Monitor the Web for positive and negative feedback * Allocate resources and establish budgets * Measure the impact of Internet strategies * And more. 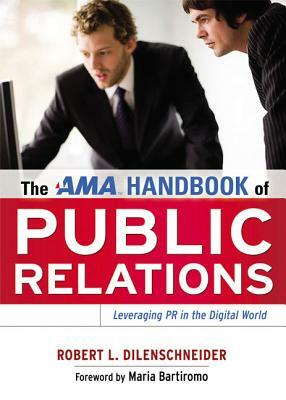 Designed for daily use in a changed and changing world, The AMA Handbook of Public Relations covers everything today's PR professional needs to know. ROBERT L. DILENSCHNEIDER (New York, NY) is the founder and principal of The Dilenschneider Group, a public relations and communications consulting firm. He is the former president and chief executive officer of Hill and Knowlton, Inc. and the author of many books including Power and Influence.